In this episode of SIDHA KURA JANATA SANGA is tring to solve public issues, and the team of SIDHA KURA JANATA SANGA went to Gorkha to get the Astami Gurung's house. Another Topics, In the search of a person who forced to suicide. A video where found in the mobile of the a women who suicide and she record why she suicide. A program SIDHA KURA JANATA SANGA is a popular amongst the Nepali peoples where the program will try to solve and listen the Public Issues. 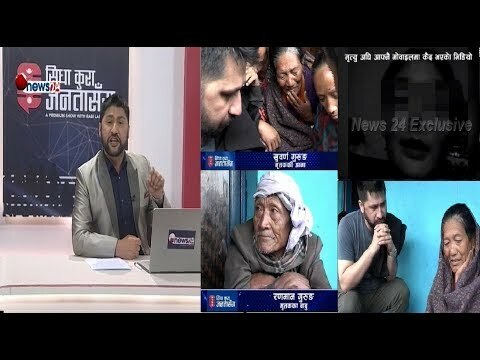 A program SIDHA KURA JANATA SANGA is broadcast in News24Tv Nepal by rabi lamichhane. A premium Tv show SIDHA KURA JANATA SANGA.